Answering calls in the monthly ‘Dial your EO’ programme at Annamaiah Bhavan here on Friday, the EO said that steps have been taken to register a phone number or an e-mail ID to make the arjitha seva booking system more transparent. 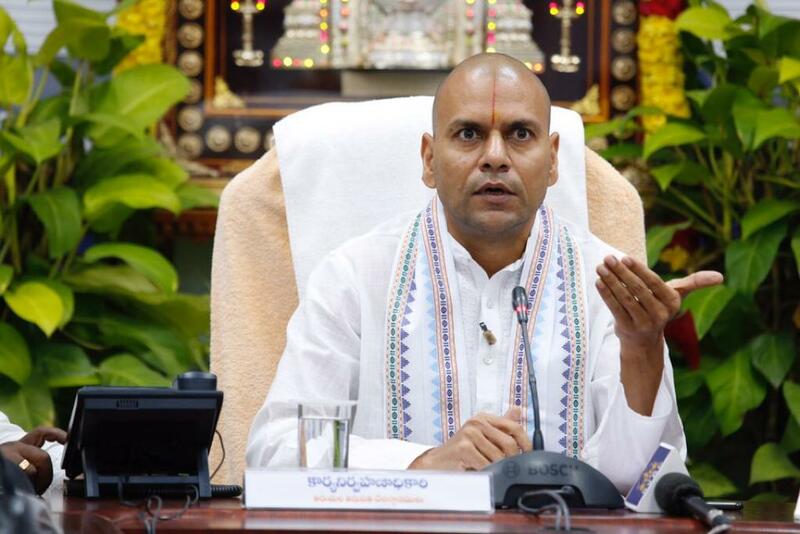 The TTD on Friday released the online quota of 67,146 tickets pertaining to various ‘arjitha sevas’ performed inside the hill temple for the month of February 2019. As many as 9,796 tickets which includes Suprabhatam (7096), Thomala and Archana (110 each) Astadala Pada Padmaradhana Seva (180) Nijapada darshan (2,300) have been placed under the online dip system. The rest 57,350 tickets relating to other daytime rituals such as Visesha puja (2,000) Kalyanotsavam (12,825) Unjal seva (4,050) Arjitha Brahmotsavam (7,425) Vasanthotsavam (14,850) and 16,200 tickets of Sahasra Deepalankara Seva can be availed by the devotees under the online general category.